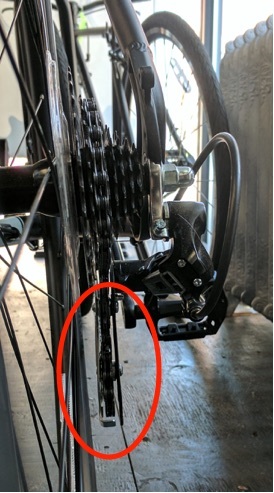 When a bike is shipped, the derailleur hanger (metal piece that attaches the gears to the bike) can sometimes get bent inward toward the rear wheel. Although this is rare, it can be dangerous, as the derailleur hanger may bend into your spokes and abruptly stop the bike when you start to pedal. This can potentially injure you and your bike. Before your maiden voyage on your new Invincible bike, please check that the derailleur is hanging straight toward the ground. If your derailleur hanger is bent, please email our support team at customerlove@fortifiedbike with a photo of the bent derailleur and they will help you out.